Jimi Guitar is a virtual guitar Android app for the mobile phones running on Android 2.1 and up. It's like having a mini guitar in your pocket. In Free Play mode you can simply place the fingers on the touch screen, pluck the strings you want as you would a guitar and place your first position chord where you prefer. This allows for both strumming and plucking. Jimi Guitar also has an interesting mode called Song Play mode where in you can see the lyrics on the screen and the actual chord on the top portion. If you enable the Scroll chords option, the chords are displayed in the order that they should be played, and you just have to scroll them. The lyrics will also scroll simultaneously. This will help beginners in learning songs. Lastly, Jimi Guitar can also serve as a song and chords search engine, so you can play what your friend is requesting on the fly. The Jimi Guitar will not be replacing real guitars anytime soon but it can provide hours of entertainment, and all for the measly price of a guitar string! German translation by Florian Stumpe. Changed slide gesture to avoid inadvertent menu opening. Fixed bug with touch sounds enabled. 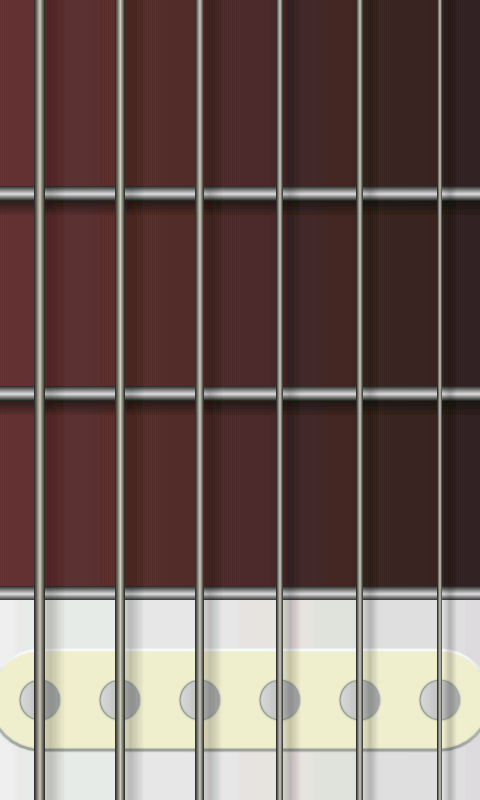 Display fret marks in free mode. Bugfix for issues when touch sounds is enabled. Press Back twice to exit. Fixed song import from external memory.